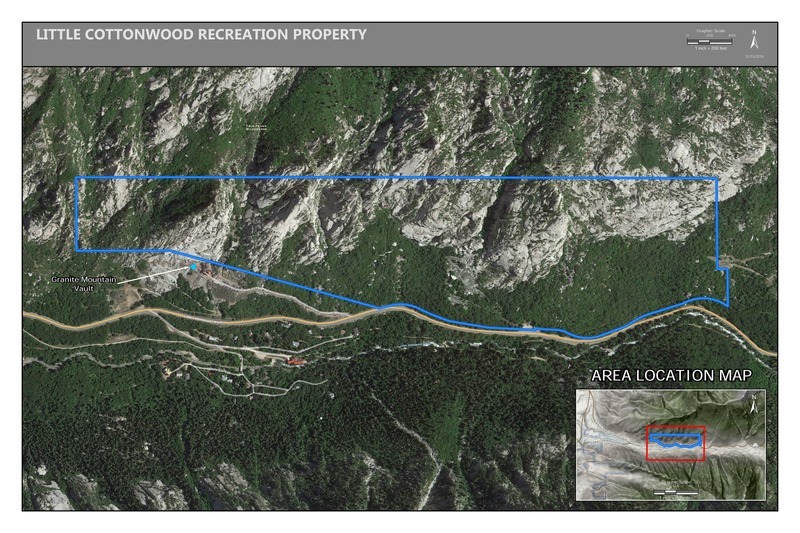 June 1st, 2017:The Salt Lake Climbers Alliance (SLCA), the Church of Jesus Christ of Latter-day Saints (LDS Church), and Access Fund announce the signing of an unprecedented lease for 140 acres in Little Cottonwood Canyon (LCC). The parcel, known as the Gate Buttress, is about one mile up LCC canyon and has been popular with generations of climbers because of its world-class granite. The agreement secures legitimate access to approximately 588 routes and 138 boulder problems at the Gate Buttress for rock climbers, who will be active stewards of the property. The recreational lease is the result of several years of negotiations between LDS Church leaders and the local climbing community. Access Note: The climbs on the Church Buttress above the vault that have been traditionally closed will remain closed. Please help us steward this area and leave no trace. Just to the right of The Great Chockstone, is a steep bolted face with some grooves. Climb the bolted line on the left up some nice smears. When you achieve the ledge, prep yourself for some thin liebacking to the top. I believe there is an optional extension of the climb that clips 1 more bolt on the way to the base of the offwidth on Crescent Crack. 2 bolts at the top of climb for anchors, and 4 draws for the face. The optional finish brings a change of pace with another 60 or so feet of serious climbing protected by 2 more bolts (only 1 drawn on topo) and gear on flaky rock. 1 star vs. 3 stars for the bottom half. Instead of traversing to the belay after bolt 4 step left on top of a detached block and clip a bolt. This deposits you on a gritty steep slab and marks decision making time: clip the 6th bolt and shoot straight up toward a couple of chicken heads heading for a grassy horizontal seam (super burly looking) or traverse right using tenuous friction to reach a blunt arete that can be liebacked for several insecure scary move. Whichever way you pick, expect hard runout climbing until you run into a freshly excavated #2 placement a good 20' above the bolt. From there it's smooth sailing up wide cracks to the anchor at the base of the OW pitch of Crescent Crack. 2 bolts, cams from BD .75 to 2 and maybe large nuts. Micros could be placed in the lieback section. Let me know how that goes.